and some of Tocknock's favorites. Whether in the most rural area or amidst the bright lights of the big city, driving a truck not only requires attention and responsibility, but undoubtedly requires good luck. But since the drivers in this story are a bunch of animals, good luck will be scarce, especially when the police cow shows up at the scene of the accident. 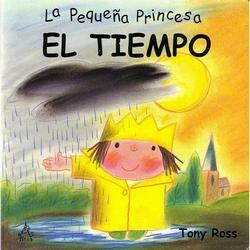 (Click here for more Spanish Books! 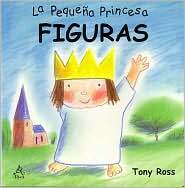 (¡Click aquí para ver más libros en español! 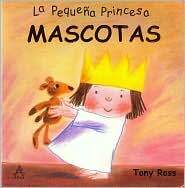 Esta antología de lírica infantil no sólo celebra el mundo mágico de los niños, sino también permite un acercamiento a la cultura y a las tradiciones de los países de habla española. Las exquisitas ilustraciones de acuarela captan la belleza y el humor de los textos y hacen de este libro un verdadero tesoro para gente de todas las edades. 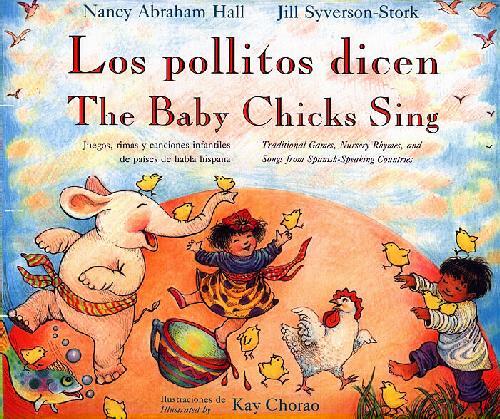 Traditional Games, Nursery Rhymes, and songs from Spanish-Speaking countries. Here is a collection of children's songs and rhymes celebrating playtime while offering a glimpse into the culture and traditions of Spanish-speaking countries. Exquisite watercolors capture the spirit and stile of Spanish tradition and make this a book the entire family treasure. ( Click here for more Bilingual Books! 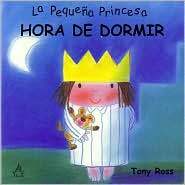 (¡Click aquí para ver más libros bilingües! A father and his children are going on a bear hunt. None is scared until they find a dark cave. What are they going to find in there? 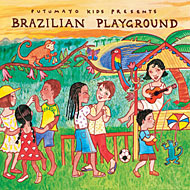 This a version of an traditional English song. 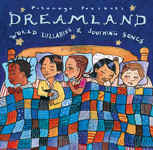 Excellent choice for preschool, library and bedtime reading. ¡Versión en español nuevamente disponible! 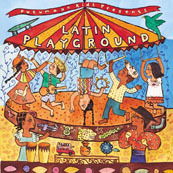 A new and improved version of this fiesta of upbeat Latin American music for children and families, featuring 5 new songs. 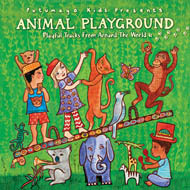 Take a walk on the wild side with this global musical journey into the animal kingdom. (Click here for more Audio Books! ( !Click aquí para ver más Audio Libros! Esta antología para jóvenes lectores ofrece cuentos de Julio Cortázar, Gabriel García Márquez, Mario Benedetti, Antonio Skármeta, Francisco Massiani entre otros. Asuntos y puntos de vista que tocan a la juventud, desde el sentimiento de insatisfacción hasta el anhelo de plenitud a través de la expresión y la creación artística. This anthology features a selection of short stories by contemporary Latin American writers who reflect the longing for freedom and self realization characteristic of adolescence. 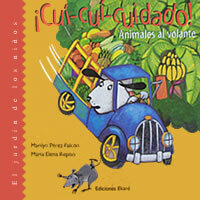 This collection includes stories by Argentine Julio Cortázar, Colombian Gabriel García Márquez, Uruguayan Mario Benedetti, Chilean Antonio Skármeta, Venezuelan Francisco Massiani and others. 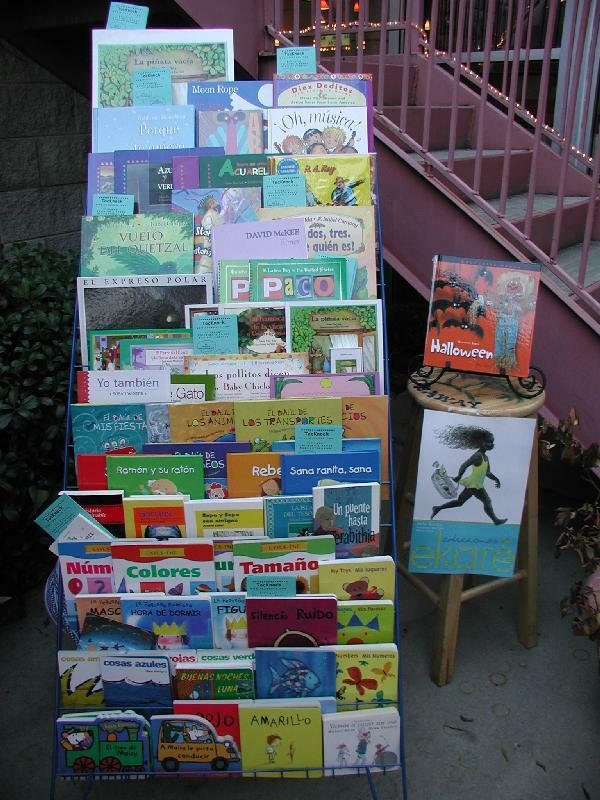 Click here for Young Adults books ! 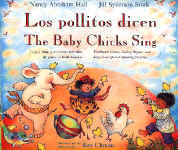 (¡Click aquí para libros juveniles! 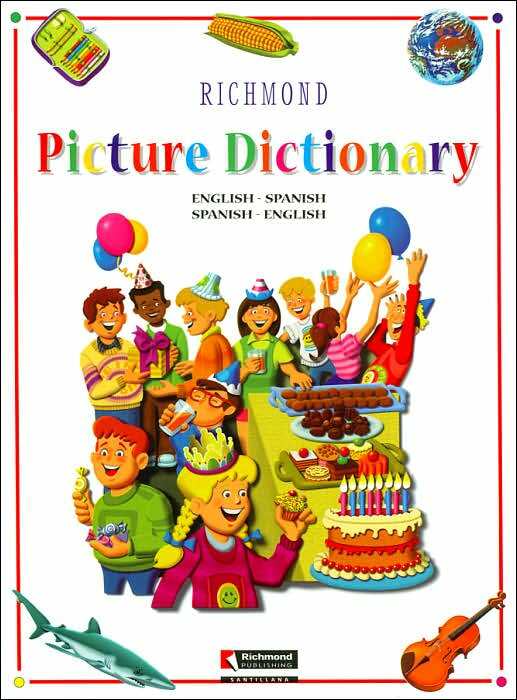 Thematic, full page pictures illustrate 1,500 words in Spanish and English. 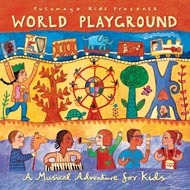 Arranged by topic and includes nouns and verbs. Quick reference vocabulary list, with the meanings of the words that accompany the drawings for each topic. Feel free to place your order and we will send the item as soon as it comes in stock/Ordene su copia y se la enviaremos tan pronto esté en inventario. Diccionario temático con páginas llenas de imágenes que ilustran 1.500 palabras en español y en inglés. Organizado por tópicos, incluye nombres y verbos. Lista de vocabulario, de rápida consulta, con el significado de las palabras que acompañan los dibujos por tópico. 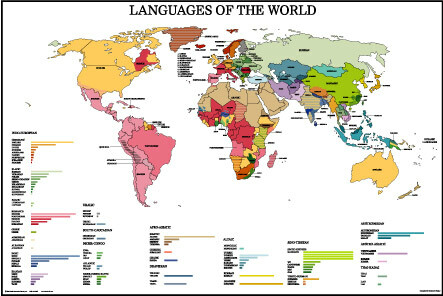 It Charts map out the various languages spoken around the world with a graph depicting the frequency with which they are spoken. 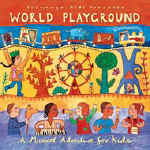 Comes with a guide containing interesting facts and information about the languages used across the earth. Éste mapa presenta varias de las lenguas que se hablan en el mundo con gráficos que describen claramente la intensidad con la cual son hablados. Viene acompañado con una guía, la cual contiene interesante información sobre los idiomas usados a lo largo del planeta.